Where do you plan to do your Christmas shopping this year? If your brain automatically flips to Black Friday shopping, there’s something wrong somewhere. Perhaps you don’t take your jewelry business as seriously as you should. If you sell handcrafted jewelry online or do local art and craft events, you probably notice a surge in sales this time of year. You know what’s happening, of course. 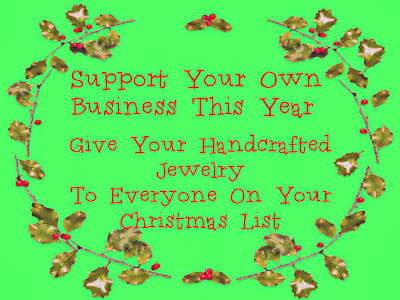 People who love your jewelry are buying it to give as gifts. They want to share it with the people they care about, but what about you? 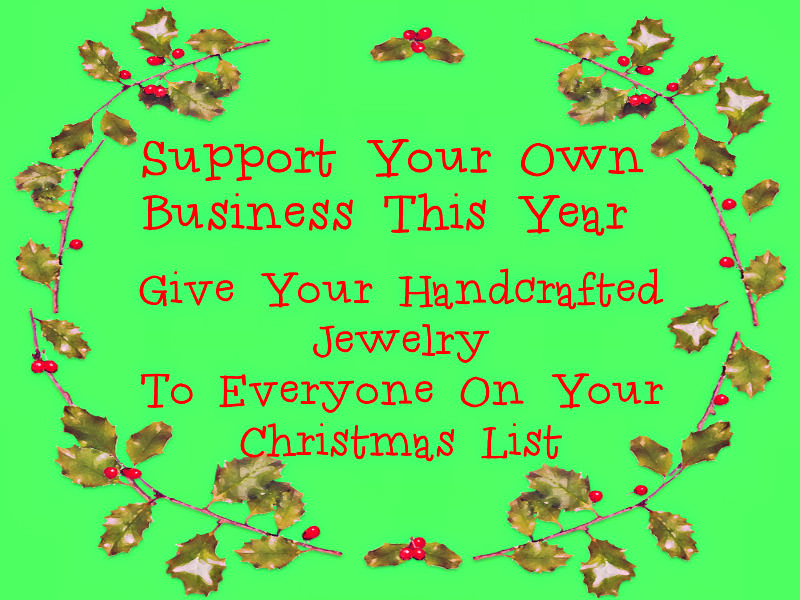 If a stranger feels confident enough in your creativity to buy your jewelry, wrap it up, put it under their Christmas tree, and give it to the people they love, shouldn't you feel the same way? Sometimes friends and family don’t see what you do as a legitimate business, not like Macy's or Amazon. If you feel the same way deep inside, just stop it! Never, never allow what other people think to influence how you feel about your jewelry or yourself. 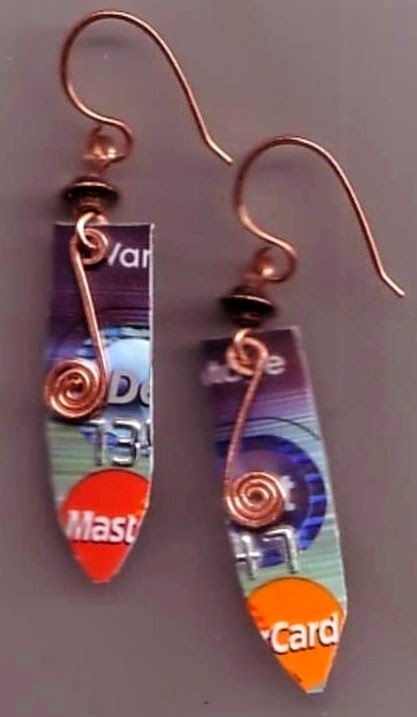 Some people will never see your jewelry-making as anything more than just a hobby. Maybe it was just a hobby once upon a time, but the moment you started selling it to others, it stopped being a hobby and became your business. It’s up to you to show the people in your life that what you do is just as real as what Jared does. You just do it differently. Instead of sucking it up when people question why you spend so much time on your little jewelry hobby, smile and explain what you’re really doing. Instead of waiting for your friends and family to respect what you do, remember all of the people who already respect your work. Instead of hitting the Black Friday sales after Thanksgiving dinner, “buy” a perfect gift from your existing jewelry stock. Instead of agonizing over fuzzy slippers or a discount Fitbit, create special jewelry pieces with your friend or loved one in mind. It’s a long road from thinking of your jewelry as a hobby to appreciating it enough to give it as a gift. It took me a while to reach that point myself. I sold at art and craft shows all over town. I won awards. 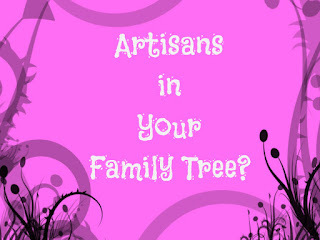 People loved my funky creations, but I’d still hit the holiday sales to buy gifts for my family. My mom always loved my jewelry, of course, so she was the first to receive one of my pieces. From there it was easier to give earrings, bracelets, and pendants to my sisters and sister-in-laws. One year I established a Christmas tradition of gifting a pair of earrings to each lady in the family. I don't do that anymore. I value my jewelry too much to give all of it away. But it was nice while it lasted.